The Greater Seattle Aquarium Society is a non profit corporation, organized under the laws of the State of Washington. The primary purposes of the society are to promote interest in the aquarium hobby, and to provide a forum for the exchange of information among aquarium hobbyists. New to GSAS? Click here first for more information. 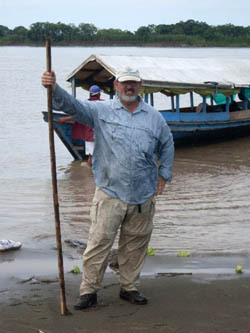 March 12: Cory McElroy, "Every Country Speaks Fish"
March 12, 7:30 PM, Otto Miller 109. Cory McElroy brings international fishkeeping to Seattle. Last year he traveled to Peru, China (twice), Germany (twice), Vienna and Budapest. From collecting fish in the wild to attending the biggest fish hobby conventions in the world. While every culture does things differently and Cory can only speak English, he is able to speak the universal language that is the fish hobby. You'll see and hear things like armed guards guarding the Arowanas, Flowerhorns, Discus, Goldfish, Bettas and Guppy competition in the China International Pet Show, to the armed guards guarding gold in the Peruvian Cloud Rainforest. One of the riskiest questions in his travels was, what are we eating today? ...from Pacu and Picure (the giant rodent) to McDonalds to gain access to a bathroom. His talk is full of real life fish nerd traveling the world and what's it's like when you can't communicate with the people around you except for pointing at a fish and a smile. Cory is owner of Aquarium Co-Op and its ever-growing social media empire. He's also a longtime member of GSAS, having served on the board for several years where he brought back our BAP program from terminal hibernation. Meeting starts at 7:30, with social hour at 6:30. Afterwards, our usual monthly auction, which is sure to be extra packed after February's cancelled meeting. We will also have our usual "dinner with the speaker" before the meeting, location TBD. Contact kathy@thekrib.com to sign up. 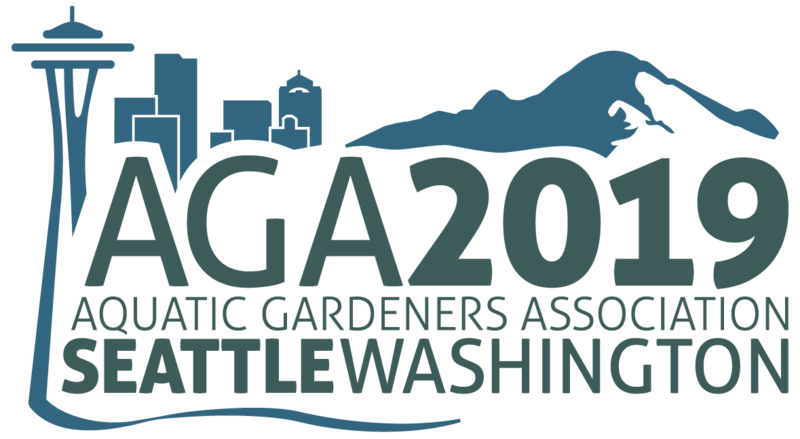 GSAS is proud to be hosting the Aquatic Gardeners Association 2019 convention, which will be held May 2-5 at the Renton Red Lion. We have a full lineup of speakers, an aquascaping demo from Dennis Wong, two (sold out) workshops, a Saturday night banquet featuring a second talk from Christel Kasselmann... plus so many vendors, we had to have two rooms! Sunday will be a huge plant (and plant-related) auction that may put the GSAS Plant Auction to shame. See all the details at our convention website. If you are a GSAS member, you can get the "member rate" by registering via this special link ($22 savings off the non-member rate). Registration has already broken AGA records, and is likely to sell out at this point! Our February meeting's presentation is Fishes of Cambodia - Hidden Gems, presented by Dr. Anthony Inder Mazeroll. He describes the talk as a photographic guide to the fishes he encountered in different habitats in Cambodia. Dr. Mazeroll is a professor of Biology and Environmental Studies at Soka University of America. He has been keeping fish since the age of 8, and currently has a 2-car garage converted into a fishroom, as well as a 500-gallon Peruvian Amazon biotope tank in his living room. He divides his time between Southern California and Peru, where he is the executive director of the Amazon Research Center for Ornamental Fishes in Iquitos. Meeting starts at 7:30 PM, 6:30 social, with traditional monthly auction to follow.